In September 2018, the National Youth Soccer Month campaign celebrates its 16th year of educating the public about the joys, rewards and benefits of playing youth soccer, and offers a variety of resources to get involved. Anyone can spread the message about his or her positive experience with youth soccer. Youth Soccer Month celebrations can be found at soccer practices and tournaments, businesses, nonprofit and community centers, shopping malls, schools, private homes...just about anywhere that kids who play soccer and those involved with those kids may gather. People who organize Youth Soccer Month Celebrations are soccer volunteers and administrators, parents, coaches, players...anyone who wants to celebrate our sport. This website is designed to help you get involved and celebrate Youth Soccer in your own unique way. We want to hear how you participate in Youth Soccer Month this year. 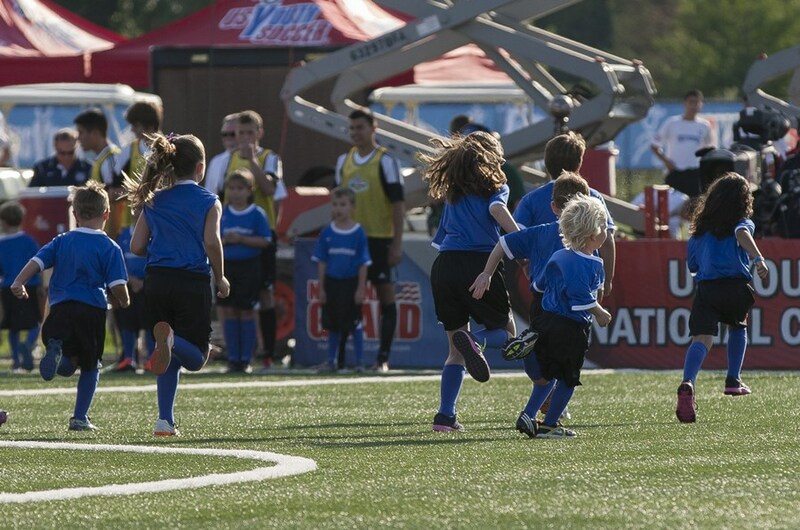 Click here to tell us how you get involved in and celebrate Youth Soccer in America. And be sure to visit youthsoccermonth.org often during September to see what's going on across the country.